Bald–hairy (Russian: лысый–волосатый) is a common joke in Russian political discourse, referring to the empirical rule of the state leaders' succession defined as a change of a bald/balding leader to a hairy one and vice versa. This consistent pattern can be traced back until as early as 1825, when Nicholas I succeeded his late brother Alexander as the Russian Emperor. 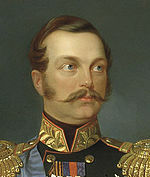 Nicholas I's son Alexander II formed the first "bald–hairy" pair of the sequence with his father. The current "bald–hairy" pair of Russian rulers are the balding Vladimir Putin and the hairy Dmitry Medvedev (who has a full head of hair). 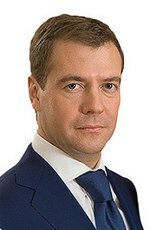 Putin was the president from 2000 until 2008; Medvedev held the post until 2012, whereupon Putin became president again. The bald–hairy joke is that there is, apparently, a strict rule applying to Russia's politics for the latest two centuries. A bald (or obviously balding) state leader is succeeded by a non-bald ("hairy") one, and vice versa. While this pattern is most likely a coincidence, it has held true since 1825 (with the exception of Georgy Malenkov, who was Premier of the Soviet Union from 1953 to 1955), starting from Nicholas I. 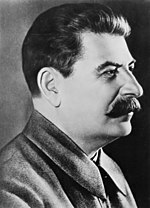 However, some videos of Joseph Stalin at the Potsdam Conference showed that he was in the early stages of balding. "Bald, hairy, bald, hairy, bald, hairy - that's how we elect our leaders," my St Petersburg friend quips when I ask if she voted in the presidential elections. 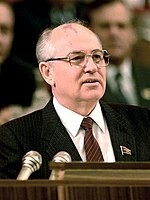 "Think about it: Lenin was bald, Stalin was hairy; Krushchev was bald, Brezhnev was hairy; Gorbachev was bald, Yeltsin was hairy - and Putin is practically bald. Medvedev had to win." From 1682 to 1801 there was a strict "man–woman" sequence on the Russian throne: Peter I the Great, Catherine I, Peter II, Anna, Ivan VI, Elizabeth, Peter III, Catherine II the Great, Paul. Emperor Paul changed the rules of succession to the throne so that only men could rule the country, and the "man–woman" interchange was terminated. If Tsarina Sophia (a sister of Peter I and Ivan V and a powerful regent during their minority), is counted as a de facto ruler, then the sequence could be traced from 1676, when another of Sophia's brothers, Feodor III, succeeded to the throne. A different sequence is related to the character of death of the Russian monarchs and can be traced from 1730 to 1825 and separately from 1825 to 1917: Anna died, Ivan VI was killed, Elizabeth died, Peter III was killed, Catherine the Great died, Paul was killed, Alexander I died. After an interruption of the sequence, when Nicholas I suppressed the revolt of Decembrists who threatened to kill him and his family, the sequence resumed when Nicholas I's son Alexander II was killed, Alexander III died, and Nicholas II was killed. However, Nicholas's designated successor Michael II was never confirmed as Emperor, and soon after the Russian Revolution of 1917, was murdered by revolutionaries. 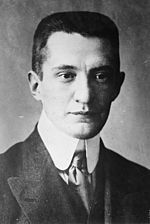 Vladimir Savchenko. Новая наука Историоматика/Пси-гидродинамика Советской власти, или Закон "лысых/волосатых" (in Russian). Y. Mikhailina (2007-01-12). Преемник должен быть без запаха. Интервью И. Минтусова, личного консультанта Б. Ельцина (in Russian). Moskovskij Komsomolets. 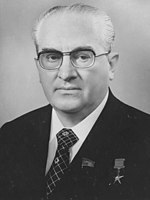 V. Kupriyanov. Башмак Эмпедокла (in Russian). 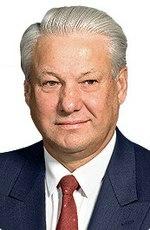 V. Tseplyaev (2007-12-27). Мистические закономерности российской власти (in Russian). AiF online. Alla Bossart. С Новым гоном! (in Russian). Gazeta.ru. D. Dybov (2002-10-08). Не дай Буш! (in Russian). Moskovskie Novosti. V. Skachko (April 11–17, 2008). Мистика и власть (in Russian). Kievskiy Telegraf. Шарж в газете, пуля во лбу (in Russian). ^ Krulwich, Robert (10 September 2008). "Baldness Pattern: A New Cold War Analysis". WBUR. Retrieved 21 October 2013. ^ a b V. Skachko (April 11–17, 2008). Мистика и власть (in Russian). Kievskiy Telegraf. ^ "Череда правителей России (закономерность истории): Александр II — лысый Николай ... Анекдоты из России" (in Russian). 24 April 2004. ^ Catriona Bass (7 March 2008). "Russian politics: the bald truth". The Times. This page was last edited on 6 February 2019, at 17:15 (UTC).